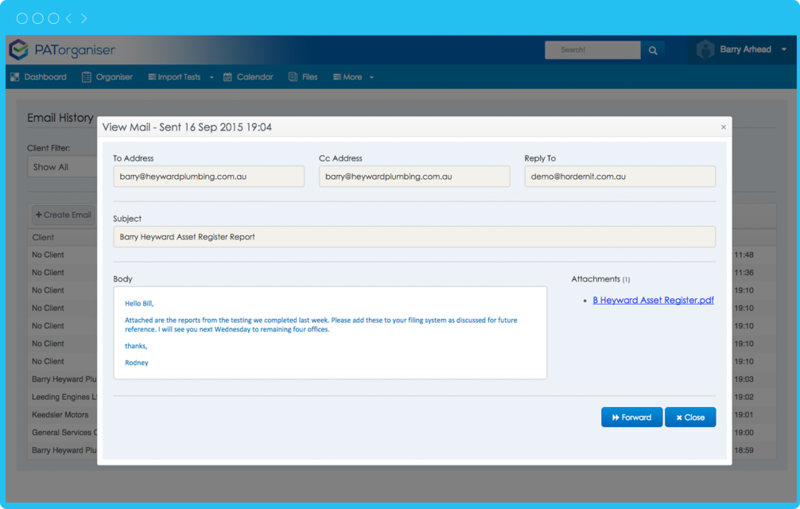 Email – Send reports, invoices and reminders to clients with the in-built email program. 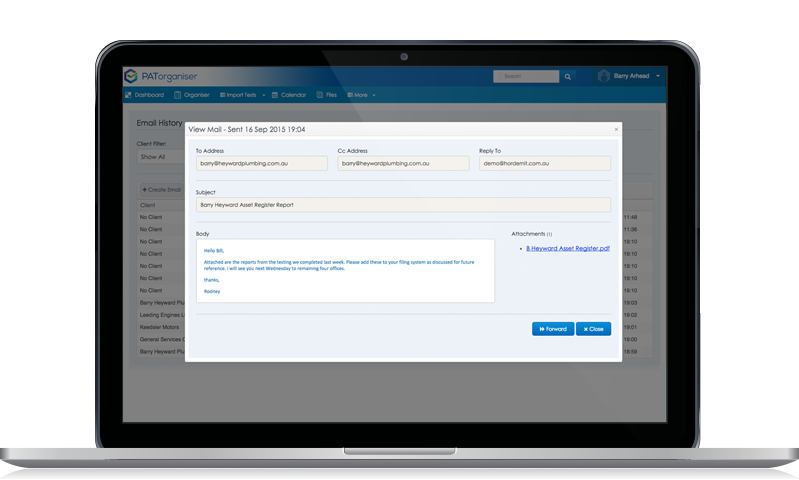 The email function within PATorganiser is not a replacement for your regular email program. 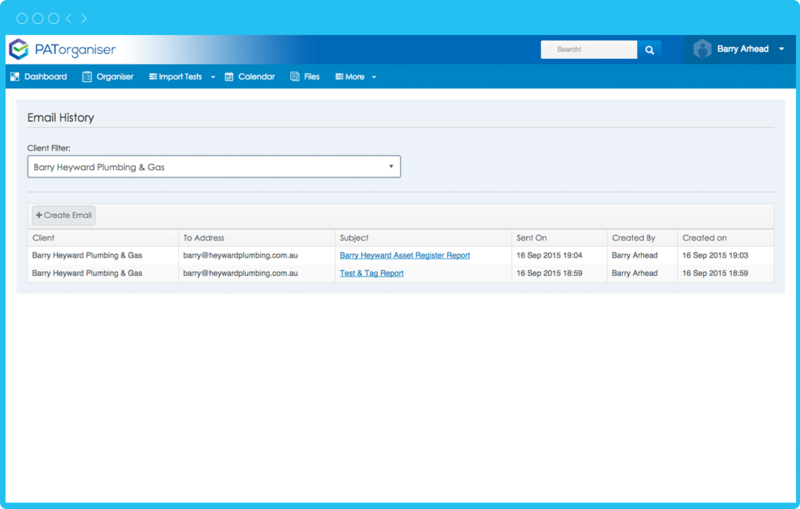 It is however a great way to attach and send completed reports/invoices to your clients and to also track these reports. 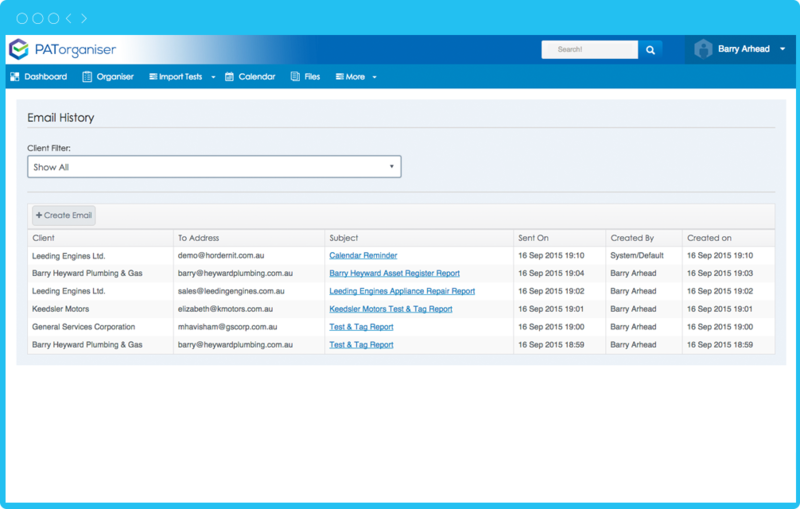 Anyone within your business can easily track when and to who a report was sent. The date and time is recorded for easy retrieval. You may generate over a period of time hundreds if not thousands of emails. 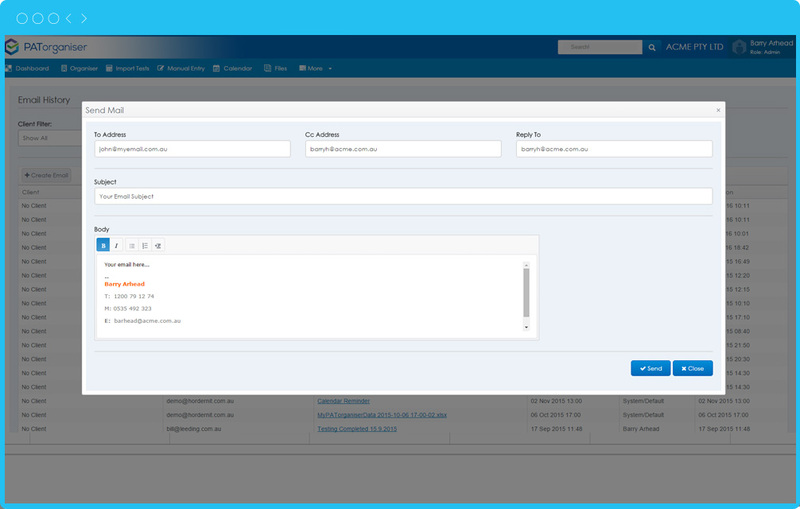 To make the process of retrieving older emails easier we have a client filter which will allow you to select a client and only search the emails sent to them.